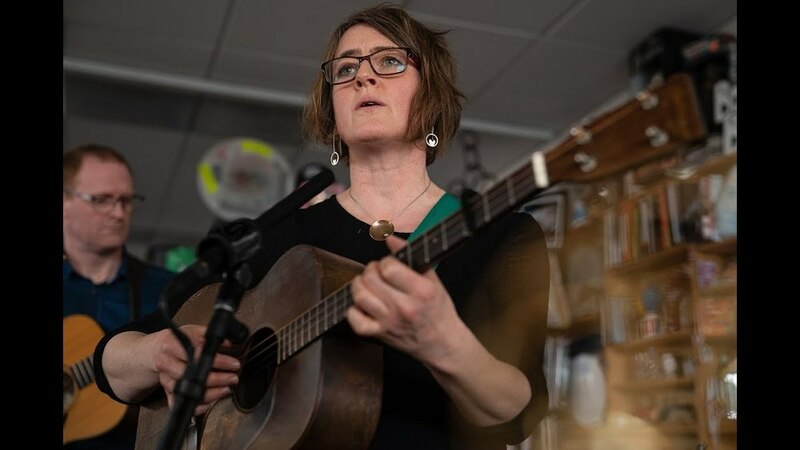 April 10, 2019 | Suraya Mohamed -- Scottish singer, songwriter and essayist Karine Polwart seldom comes stateside. She prefers to limit air travel in order to minimize her carbon footprint. She took exception, however, to fly from Edinburgh to New York City to participate in the Carnegie Hall Migrations festival, a celebration of the history of the movement of people all around the world. Polwart and her brother, guitarist Steven Polwart and multi-instrumentalist, Inge Thomson, then escaped New York for a day to play the Tiny Desk here in Washington, D.C.
Democrats are decidedly wary about going on Fox News. Many have had mix feelings about appearing on the network for some time. But is it a valid fear or concern? Well, it depends. A few weeks ago, the Democratic National Committee decided that there will be no Democratic primary debates on Fox News. I understand that Fox News is not a news channel, but a propaganda arm of the Republican Party and a Donald Trump stooge. That said, it has a large viewer base that progressives must address. Polls point out that most Americans, including a significant percentage of Republicans, want progressive values. However, because many Fox News viewers are tunneled almost exclusively in the Fox News or right-wing talk radio world, they never hear our message. 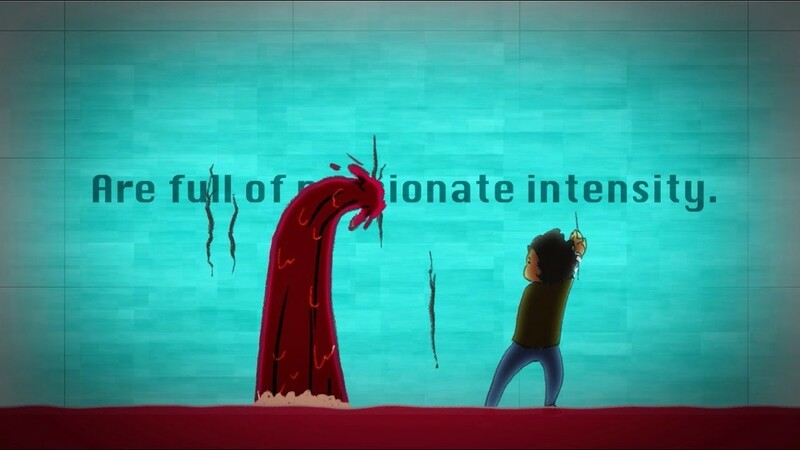 We must express it in a form that reaches them. Democrats leave too many votes on the table that should be ours. Too often we assume that because it is challenging to have a substantive conversation with many people on the Right, it is more expedient to abandon them and work on the people in our party who don’t vote. When one spends many hours in the field speaking to people, it becomes evident quickly that the nonvoter always reverts to form unless one changes their entire outlook on their potential influence on the outcome of elections. Getting a voter on the Right to consider voting their interest is no more daunting. That being the case, we must respect and address them both. On Earth Day 2008, I conducted a five-question interview with Denis Hayes, my onetime boss at the Solar Energy Research Institute, and now president of the Bullitt Foundation in Seattle. Hayes had coordinated the first Earth Day in 1970, when 20 million people attended environmentally focused events around the world. He was asked to coordinate the 20th anniversary of Earth Day in 1990 and Earth Day 2000 as well. And now he’s gearing up for the 50th Earth Day next year. You can see a condensed list of his prodigious accomplishments and awards here. This morning at 10 AM ET, he will speak at the National Press Club in Washington, D.C., to announce mayor global mobilizations for the 50th anniversary. These include “Vote for the Earth,” “Earth Challenge 2020,” and the 2020 theme for Earth Day, a focus on the growing demands for immediate, transformative action to address the climate crisis. Although Earth Day 1970 focused desperately needed attention on the world's environmental troubles, it was also seen as a distraction from the war in Southeast Asia. Some people on the left argued that environmentalism was a snare and a delusion. Despite the environmental horrors visited on developing nations and vulnerable people in the more developed nations by the extractive industries, they viewed the whole movement as a low or nonexistent priority. They were reinforced in their views when the slaughter abroad came home. Just a week after Earth Day, on April 29, the U.S. sent troops into Cambodia and, within three weeks, six students had been killed during protests at Kent State and Jackson State universities. Nonetheless, for a time—in part because Richard Nixon needed something positive to balance his administration's disastrous continuation of the war and because he was pressured by Democrats such as Earth Day founder Gaylord Nelson and eco-advocates in his own party—quite a number of successful environmental initiatives were undertaken, including the creation of the Environmental Protection Agency and legislation on clean water and clean air. Trump has apparently concocted this plan that a) since Immigrants are “criminals” that he can use their inherent threat against public safety as a b) political targeted cudgel in violation of the Hatch Act which prohibits the use of government for partisan purposes against his political opponents. You know, those squishy liberal Democrats in so-called Sanctuary Cities—in order to get them to c) agree to carve out an override and exception to the 5th Amendment Due Process Clause, the 14th Amendment Equal Protection Clause, the 1951 UN Convention on the Refugee which as a treaty which was ratified in 1969 through the Supremacy Clause. It is currently considered part of the “supreme law of the land” so that d) hundreds of thousand of undocumented immigrants can be summarily deported without an immigration or asylum hearing before a judge. This is really one of my favorite pictures in the world. When I think back about Irie, I think I love him more and more now that I have been around so many more dogs. He was such a good boy. Dumb as a sack of hammers, but so sweet. With some 18 Democratic presidential candidates and counting, it’s hard to keep track of who stands for what: which candidates have developed policy expertise and proposals on which issues, and which ones sound good but still keep talking in generalities. For most candidates, there’s no shortage of policy positions. A Think Progress piece argues that the focus of this election (so far, at least) has been policy, policy, policy. These early-season policy ideas are the introductory gambits for candidates to test out on the hustings and in media interviews. Their early campaign messages are aimed to draw support from narrow, targeted slices of the Democratic electorate, in hopes of building a groundswell of broader, national support for their nascent campaigns. Maybe in the long run, those policy details won’t matter. Maybe the majority of Democratic primary voters instead will turn toward a candidate who offers a feeling of comfort or “likeability.” Or the quickest candidate, or the sharpest, or the brightest, or the most honest. Or even the one who passes the proverbial test of “someone you could have a beer with.” And Democratic voters have been clear about one thing: They want to nominate the candidate who would best be able to beat Donald Trump. Unfortunately, there’s little evidence that we can evaluate who that candidate is right now, despite early opinion polls or the amount of money raised. We can see who’s getting the most media attention, airtime, and Sunday morning talk show invitations. But the media can be fickle: Just ask former Texas Rep. Beto O’Rourke. Candidates’ positives and negatives right now are meaningless. Any candidate with high approval ratings will see those numbers take a nosedive when the right-wing attack machine—whether that’s charges about “socialism,” Donald Trump’s ridiculous tweets and demeaning nicknames, Fox News slander and innuendo, or outright lies spread by conspiracy theorists—starts peddling falsehoods and negative stories about Democratic candidates. Mainstream media will pick those up and repeat them verbatim with little context or explanation. But here’s what the emphasis on policy does: It takes issues that are important to Democratic voters and forces them to the forefront. For the most part, candidates agree on these issues. All of the Democratic hopefuls are talking about health care. All are talking about climate change, whether they’re backing the Green New Deal, or other specific policies. All are talking about immigration, gun reform, and jobs. All are talking about evening the playing field for poor families and increasing taxes for the super-rich. Here are some of the policies that candidates have espoused so far. This is by no means a comprehensive list, and it doesn’t include every candidate. But it offers a shorthand breakdown on what different Democrats would set as priorities in the White House.